Are you a fan of the hit show Supernatural? 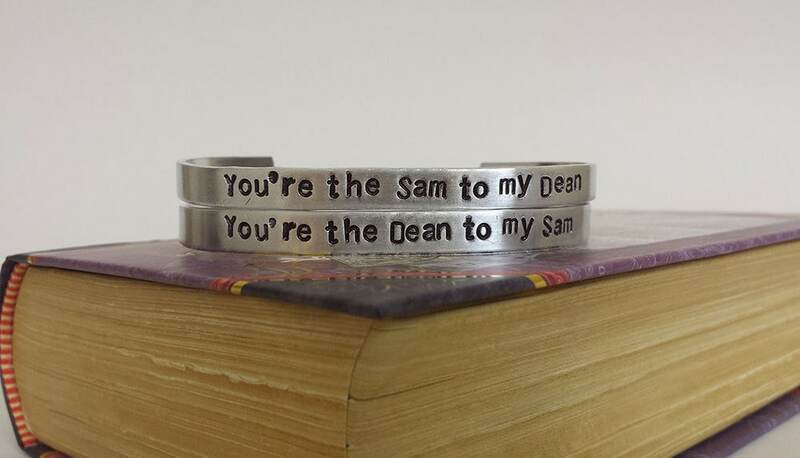 Show off your geeky side with this hand stamped aluminum bracelet set displaying the quotes "You're the Sam to my Dean" and "You're the Dean to my Sam". This is a perfect gift for friends, siblings, or couples. This listing is for 2 bracelets, one each of the above sayings. The cuff bracelets are 1/4" wide, 14 gauge (~1/16" thick) aluminum. 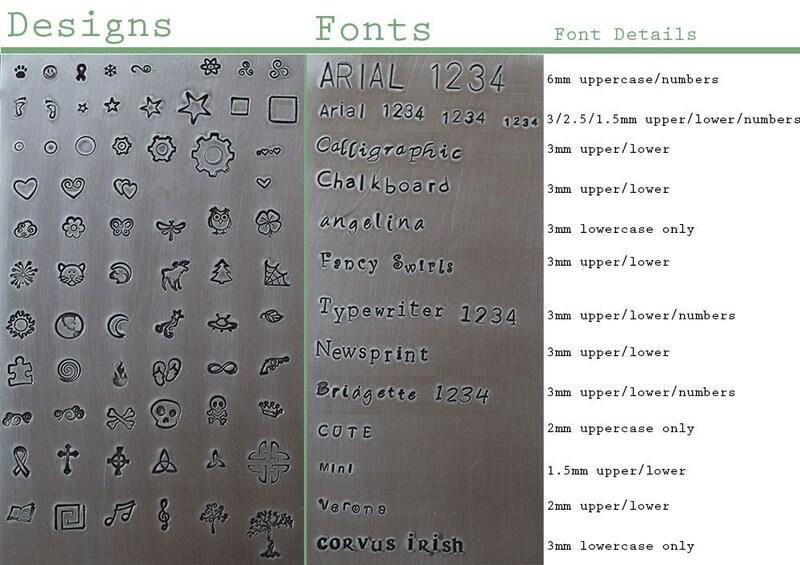 The stamped impressions have been darkened for contrast.